← What is the Environments for Living Certified Green® Program? 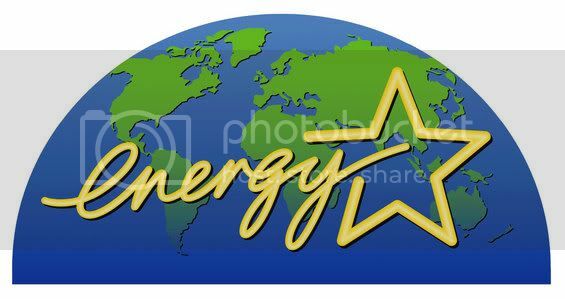 An ENERGY STAR home is determined by a set of guidelines established by the US Environmental Protection Agency (or the EPA) as a standard for energy efficient homes. ENERGY STAR is on the forefront for consumers and home builders as a way to begin incorporating green home products into the home. Even if you don't completely understand what ENERGY STAR homes are, you should be familiar with the blue ENERGY STAR symbol that is tagged all over electronics, appliances, windows and other home products. An Energy Efficient Envelope - An "Envelope" is a term commonly used to describe the "tightness" or your home and if it is insulated properly. This is a major consideration when a home is designated as an ENERGY STAR home. Insulating voids and around doors and windows should help seal your home tight. Air Distribution - In conjunction with your home's envelope, this is a phrase that is used to detect the air flow throughout your home so that it is distributed evenly without substantial air loss. Being able to contain the air that flows through your home is a valuable factor in determining if your home is suitable for the ENERGY STAR designation through the EPA guidelines. Energy Efficient Products - As mentioned earlier, these products all contribute to the efficiency of a home. Newly constructed homes in Columbia typically have these products installed. Many of these products including light bulbs, water heaters, stoves, washers, dryers and other appliances should increase your chance of getting a green home ENERGY STAR designation once you decide to take the steps toward applying. You can also check the ENERGY STAR website for rebates on these products. Energy efficient homes have started to emerge in Columbia SC. Columbia has a fairly comfortable, although humid, climate. The climate and availability of these products has created a demand for green homes for sale in Columbia. The marketability for the energy efficient homes for sale also influences buyers to pay a little more now and get a lot later. It's just a smart decision to buy green. You can search for ENERGY STAR homes in Columbia SC, or other energy efficient green homes in Columbia, by selecting your preference on our free active mls listings page for Columbia South Carolina.